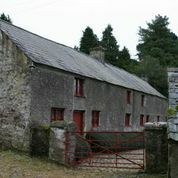 Conservation works on traditional farm buildings were supported under the agri-environment Traditional Farm Buildings Grant Scheme. The scheme supports the maintenance of old buildings and at the same time traditional craft skills. Traditional farm buildings and farm yards form part of the character of the Irish rural landscape and architectural and cultural heritage. They also support wildlife heritage (bird and bat habitats). Their use has changed greatly due to modernisation with many becoming redundant. They are in danger of neglect, dereliction and possible demolition. Changes in the law and practice of architectural conservation led to the development of new supports for heritage buildings. In 2006 the Traditional Farm Buildings Grant Scheme started, to provide direct funding for the repair of old farm buildings. The scheme supports the timely repair (or as a minimum, weatherproofing) of traditional farm buildings using traditional methods and materials. It also aims to prevent the loss of heritage assets in the rural landscape which may be important for architectural or historical reasons and which contributes to the character of the landscape. Special conditions are applied to the grant for protection of wildlife habitats during the work. This example is a mixed drystock farm. The farm buildings date from the 18th and 19th centuries. The farm house, farm building, entrance piers and wrought iron gates are protected structures in the Waterford County Development Plan and are also recorded in the National Inventory of Architectural Heritage. The buildings also provide a habitat for five species of bat. Funding supported stabilisation, roof repairs and wall re-pointing to conservation standard using traditional methods. These old farm buildings have been conserved and prevented from further damage/decay and remain a functional part of the farm. The work also contributed to maintaining traditional building skills using traditional slate. In addition, the farmer learned about the maintenance and repair of traditional heritage buildings. The work also protected biodiversity. It enhanced the environment by re-using existing buildings and thus reducing waste. The amenity value of the countryside was also improved. The nature of modern farming and, in particular, modern equipment may be a barrier to the success of conserving old farm buildings with the potential to render them obsolete. Farmers need to be encouraged to conserve old buildings through schemes like this. The funding assisted farmers whose sentiments were in synch with the core RDP objectives towards environment enhancement and protection. It is likely that greater effort is required to raise awareness of the value of these kinds of buildings.